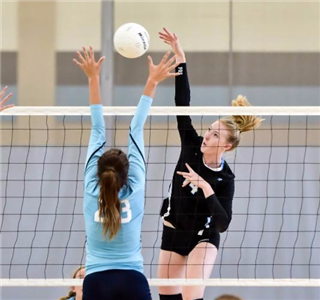 On Friday and Saturday, September 18th and 19th, Girls Varsity Volleyball hosted 25 teams for the fourth annual Firebird Classic. Tournament competitors included both familiar, local teams and teams traveling from as far away as Canada. 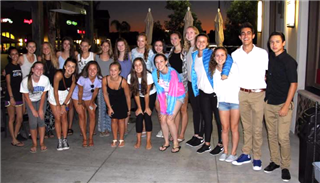 Members of the Canadian team, Seaquam, were hosted by members of the Pacific Ridge volleyball team for the second year in a row, and players enjoyed catching up with old friends and making new ones. The Firebirds finished the tournament in 7th place, losing to Division 1 teams Point Loma and Whittier Christian, but defeating Sequam, Liberty Charter and Calvin Christian. The Firebird's biggest victory, however, took place off the court - by hosting the tournament, the team was able to raise $6,000 for its upcoming trip to the Nike Tournament of Champions.